All aboard! The brand new Norfolk Southern Railway headquarters is officially underway at Atlanta’s Tech Square! 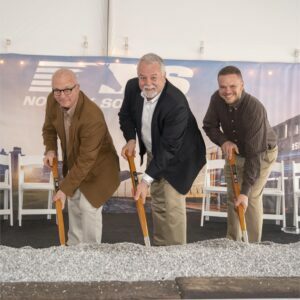 NOVA’s Tony Taylor, Dave Miller and Nick DaSantos got to participate in the groundbreaking ceremony this week. NOVA is so proud to support Cousins Property, Inc. with this development. Welcome home to Atlanta, Norfolk Southern Railway!